The Discover it® Balance Transfer is a great card for people who want a lengthy introductory period for balance transfers, as well as the ability to earn cash back on new purchases. If you’re struggling with debt and interest payments on your current credit card, this one provides a good chunk of time to pay off your debt during the intro period. In addition to a long balance transfer period, there is a decent intro period for purchases — 0% for 6 months. This card also has an intro balance transfer of 0% for 18 months. After the intro periods end, the APR goes to 14.24% - 25.24% Variable. This will temporarily help you avoid interest payments. On top of the 0 percent intro periods, you will earn cash back on new purchases — 5% cash back at different places each quarter like gas stations, grocery stores, restaurants, Amazon.com and more up to the quarterly maximum, each time you activate, 1% unlimited cash back on all other purchases - automatically. This is a great feature that can make this card worthwhile even after the intro period ends. This card isn’t designed for people who are new to credit, or who have bad or fair credit. Also, this card isn’t a good option if you want to earn simple rewards. This card requires you to activate its rotating bonus categories, unlike other cash-back cards that offer a flat rate for all spending or non-rotating bonus categories. If you want to earn a consistent flat rate on all purchases, you’re better off with the Citi® Double Cash Card – 18 month BT offer. If you consistently spend in certain categories, like gas and restaurants the Discover it® chrome is a good option. Few balance transfer cards earn rewards, and this is what sets the Discover it® Balance Transfer apart from its competitors. You will earn 5% cash back at different places each quarter like gas stations, grocery stores, restaurants, Amazon.com and more up to the quarterly maximum, each time you activate, 1% unlimited cash back on all other purchases - automatically. There is, however, an intro period for purchases of 0% for 6 months that provides a decent amount of time for you to pay off balances without accruing interest. Make sure you don’t spend more than you can afford, because you will be charged a 14.24% - 25.24% Variable APR on unpaid balances after the intro period ends. Although this card is a standout in its category, it falls short when it comes to the balance transfer fee. You will be charged a fee of 3% of the total amount you transfer. Most cards have balance transfer fees, but you can find cards without any transfer fees, which can lead to increased savings. Take note that cards without transfer fees sometimes have a shorter intro period. Cashback Match™: Discover will automatically match all the cash back you earn at the end of your first year.*. Simple cash-back redemption: No need to stress over how and when to redeem cash back — it can be done at any time, at any amount, and it never expires. Freeze it®: With the touch of a button, you can put your account on hold via the Discover app or online. While your card’s frozen, Discover will not authorize new purchases, cash advances or balance transfers. Free FICO® credit score: Discover Credit Scorecard allows you to monitor your credit score for free, promoting good credit behavior. Scores are updated every 30 days. 100 percent U.S.-based customer service: Anytime you need to reach customer service, simply call the number on the back of your card. No foreign transaction fee: If you travel abroad, you won’t be charged an additional fee on transactions made with this card. No penalty APR: If you make a late payment, you won’t be subject to a higher APR. $0 fraud liability: Any unauthorized purchases made on your credit card will not be your responsibility. To benefit the most from this card, make sure to transfer your balance as soon as possible so you don’t lose out on the intro offer. Once you transfer the balance, consistently make payments each month with the goal of paying off your debt before the intro period is over. This will allow you to save on interest payments. If you decide to finance a large purchase with this card, take note of the ongoing APR once the intro period is over — 14.24% - 25.24% Variable. It’s always a good idea to completely pay off your balance before the intro period ends. Discover will also waive the late-payment fee the first time you miss your payment due date — use this as a reminder to set up auto-pay. A balance transfer with the Discover it® Balance Transfer cannot exceed your available credit limit. That includes the amount you transfer plus the balance transfer fee. For example, if you have a $3,000 credit limit, you can’t transfer a balance that is $5,000. You also won’t be able to transfer a balance of $3,000, because the balance transfer fee will put you over the limit. To complete your balance transfer online, from your account dashboard select the “Credit Options” tab, and select “See Offer” under “Balance Transfers”’ to view your intro offer. Once you select your offer, fill in your transfer information and verify and submit your transfer. Transfers typically take 14 days to process, so continue to make payments to your other creditors to avoid late fees until the transfer is complete. With the Discover it® Balance Transfer you earn 5% cash back at different places each quarter like gas stations, grocery stores, restaurants, Amazon.com and more up to the quarterly maximum, each time you activate, 1% unlimited cash back on all other purchases - automatically. The higher bonus categories allow you to maximize your cash-back earnings — just remember to activate them each quarter. Discover also gives you a Cashback Match™ at the end of your first 12 months of card membership, meaning it will match all of the cash-back rewards you’ve earned. 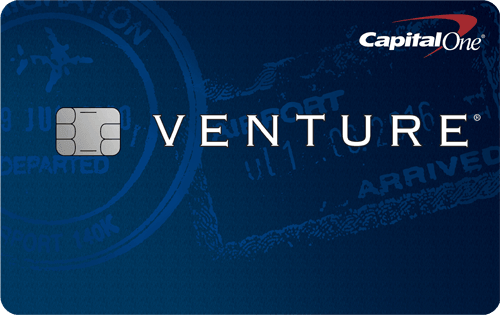 Note: This benefit is only for new cardmembers. As with any rewards program, don’t let the prospect of earning rewards tempt you to spend more than you can afford. 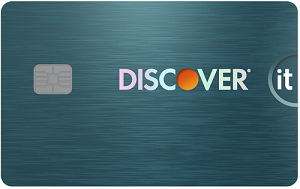 When compared to the Chase Slate® credit card, the Discover it® Balance Transfer reigns supreme in nearly all features. However, there are two key differences among these cards. 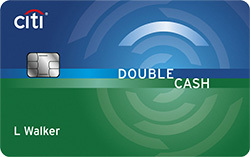 Discover it® Balance Transfer has a cash-back rewards program, while the Chase Slate® credit card is a non-rewards card. If earning rewards is a deal-breaker for you, then Discover it® Balance Transfer is the better choice. On the other hand, the Chase Slate® credit card has an Intro $0 on transfers made within 60 days of account opening. After that: Either $5 or 5%, whichever is greater. While Discover it® Balance Transfer charges a fee of 3% of the amount transferred. The fee can make a big difference, depending on how much debt you plan on transferring. But be aware that you will have a shorter intro period with the Chase Slate® credit card. See below for a breakdown of the key elements of both cards. The Discover it® Balance Transfer cash-back program sets it apart from other balance transfer credit cards. If you want a card that will provide you a good length of time to pay off your debt while also earning rewards on new purchases, this card is for you.